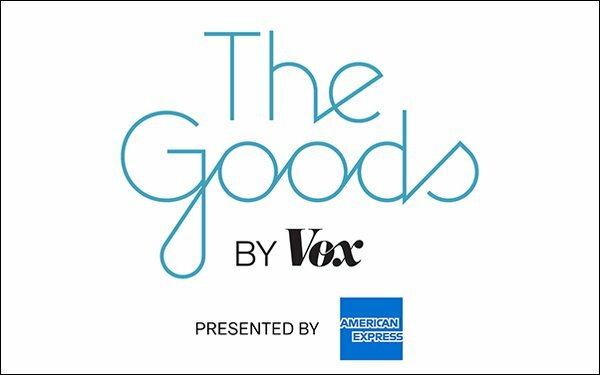 Vox Media is introducing The Goods, a new vertical sponsored by American Express that explores how consumers make purchasing decisions. This is the first time Vox Media has worked with an advertiser for this type of partnership. American Express — serving as the launch partner — will sponsor over 1,000 pieces of written and video content throughout the sponsorship period. The Goods editorial team will publish a range of news, features, ongoing series, and videos each weekday. There is a newsletter publishing twice a week beginning next week that followers can sign up for. American Express will also develop branded content under the “Explainer” umbrella that will focus on the rise of the "experience economy." Video produced by Vox Creative for the collaboration will debut in October. Vox Media saw an opportunity for this type of content in the market that isn’t being covered at this level of depth and expertise anywhere else, says Melissa Bell, publisher of Vox Media. There is a demand for this type of consumerism and why we buy what we buy, she says. "The new section gives audiences the information needed to be savvy consumers, and more broadly, to understand trends big and small in tech, design, retail, fashion, food and drink, travel, and wellness." American Express's involvement meshes well with the vertical which in part is devoted to helping consumers spend responsibly. Moreover, it dovetails nicely with American Express “Pay It Plan It” integrated marketing campaign designed to help people navigate everyday buying decisions.